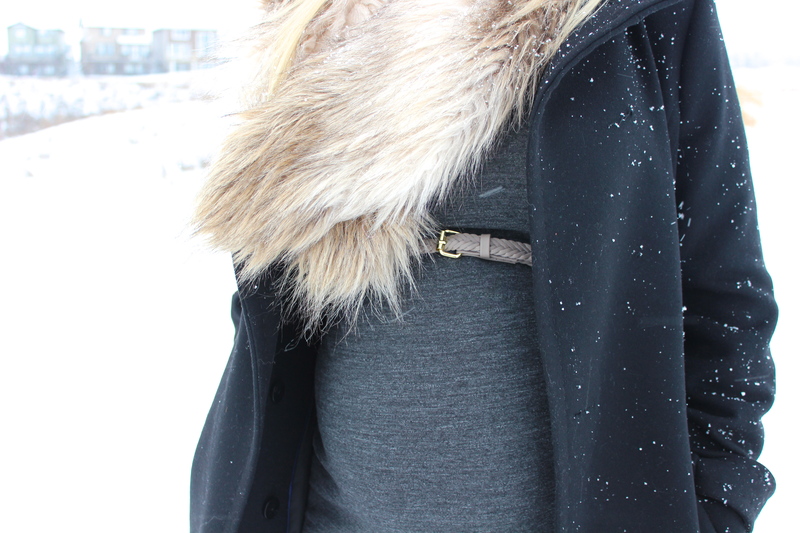 Winter Love - Lovely Blonde Closet "
Dressing my baby bump has been fun as it continues to grow! I am 25 weeks today, which seems so crazy. Looking through these photos made my heart happy, it seems this gets more real every day, seeing my belly grow and feeling her constant kicks and movements. Last week I went to find a few things that would show off my growing bump and stumbled upon this $14.95 dress from H&M and instantly knew it would look adorable (and who can pass up a dress that cheap, right?). Its simplicity allows for many ways to wear it, I envisioned this as a more dressy way, or I even thought for a more casual way, to wear it with some black leggings, a big cozy knit sweater and some Hunter Wellies. For today, I paired it with maroon tights, booties, a belt and some faux fur (seriously, I can’t get enough of faux fur lately!). 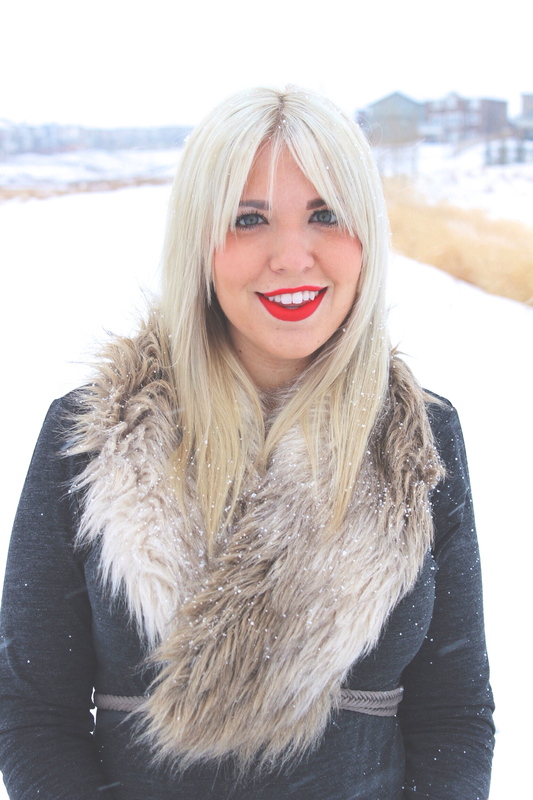 This look is simple yet has a little glam to it with the fur and red lips. 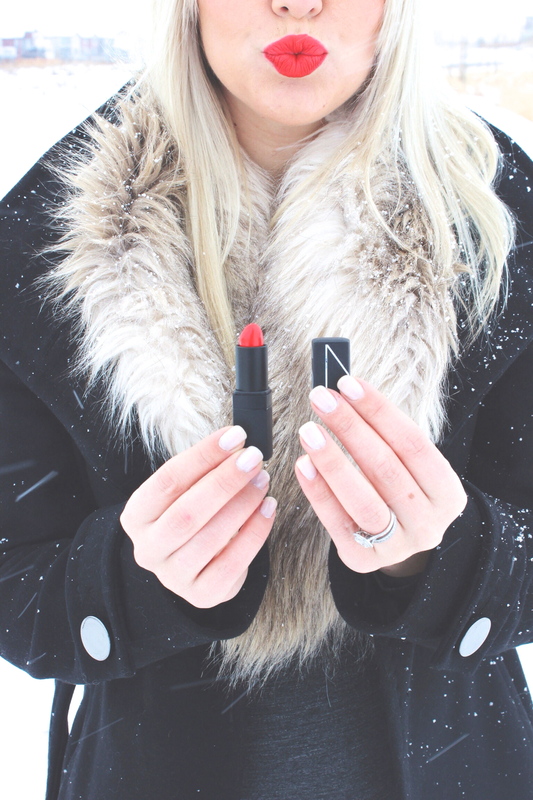 Nars “Heat Wave” has been one of my favs since seeing it on Sydney from The Day Book Blog – go get it! You won’t regret it.